The cross has been passed down in my family from my gran to my ma & now to me. 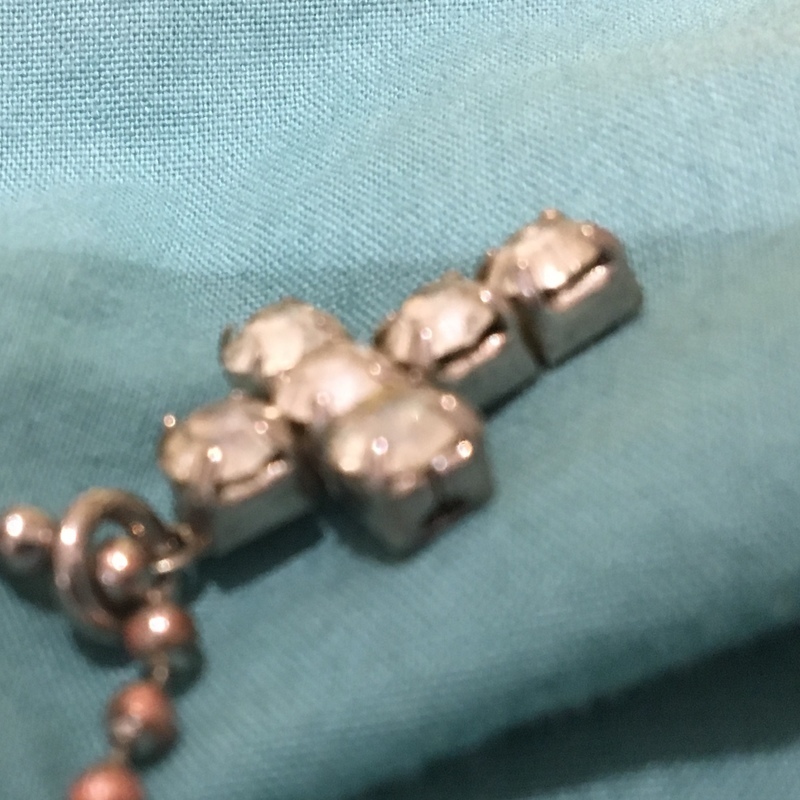 I don’t want to sell it but I may want to get the stones changed from the cross. This is a vintage, 2nd quarter of the 20th century, Christian cross necklace or charm pendant done in 6 metal backed and set rhinestones. They are neither genuine diamonds nor zirconia. These were common for costume jewelry in the mid 20th century. The estimate is based on actual recent past recorded auction sales of comparables. Retail 'asking prices' can be higher and vary.